Moving to Tomball when she was in the eighth grade paid off for this now small business owner in town. 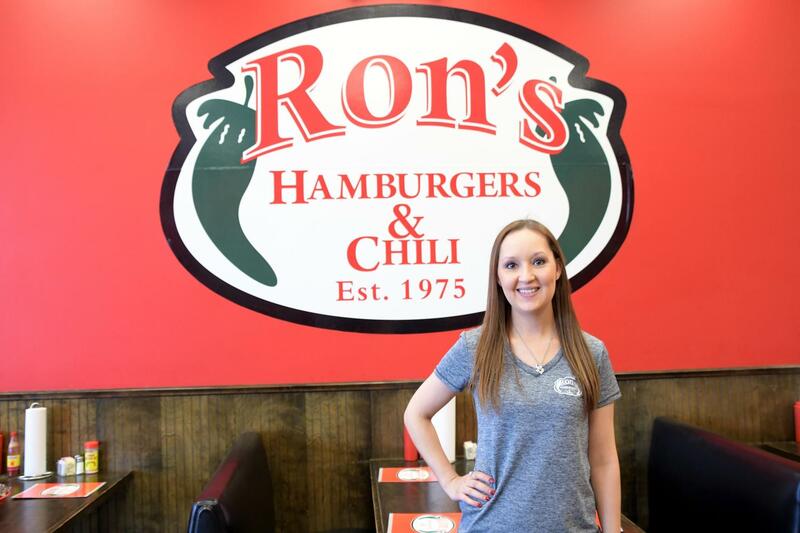 Amanda [Morgan] White, a 2005 graduate of Tomball High School, has made her mark on this town by opening Ron’s Hamburgers & Chili as a co-owner with her husband David. The original move to Tomball was sparked by the interest her family had in owning land and being a part of a small-knit community. They found Tomball and Amanda has never left. “As a kid I moved around a lot and attended many different schools. I never felt so cared for by students and staff as I did at Tomball. I felt welcomed immediately,” White said. Amanda was active during her high school days at Tomball High School, playing soccer and serving on the Color Guard for three years. Amanda immediately excelled in her career following high school. “We [her and her husband] both excelled in the company we worked for and after many years of training and hard work, we decided to open a place of our own,” she said. Ron’s Hamburgers & Chili originated in Oklahoma where Amanda’s husband David was originally from. It was a locally-owned establishment and the family-like business was very appealing to the White’s. “It wasn’t often we had the opportunity to eat at Ron’s when in Oklahoma visiting family so we decided to bring the concept down here to Texas,” White said. The choice to open a business in Tomball was an easy one for the couple. The restaurant opened in September 2012. The business continues to thrive in the community and is an establishment with a strong reputation amongst area residents and Oklahoma transplants. Because of her experiences working in the community and attending Tomball schools, Amanda wanted that for her children as well. The White’s are proud Tomball ISD parents of Madison, a Tomball Elementary student and Harrison, a one-year old. “When it came time to make a decision on school for our oldest, we knew from the start we would transfer her to Tomball and it sure has been a wonderful choice,” she said. The community of Tomball has welcomed these small business owners with open arms and Tomball Elementary has provided this family with a secure and welcoming educational environment that is very much appreciated. “The Tomball Elementary staff excelled in making sure our child wasn’t forgotten. They all take the time to make each child and family feel loved, cared for and motivated. TISD really is a Destination for Excellence,” Amanda said. For Amanda, her dream of returning to Tomball and contributing to the community paid off through her hard work and commitment. For Ron’s Hamburgers & Chili, this local business, is thriving right off of Hwy. 2920. For those who are looking for a local, family-friendly restaurant in town, visit Ron’s. “Ron’s, also located in Magnolia, is a casual family-friendly restaurant that gives you the same caring feeling that the city of Tomball does. Food is always fresh and excelling at customer service is our priority. Tomball is our family so when you come to Ron’s, that’s how we treat you,” Amanda said.